Tropical greenery can create a breezy vibe indoors all year long. 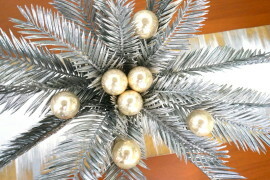 In fact, many floral shops carry tropical leaves such as monstera regardless of the season. Not only is tropical greenery super affordable (especially if you purchase one leaf to make a big statement), it has the potential to last weeks (or months if you’re very lucky). 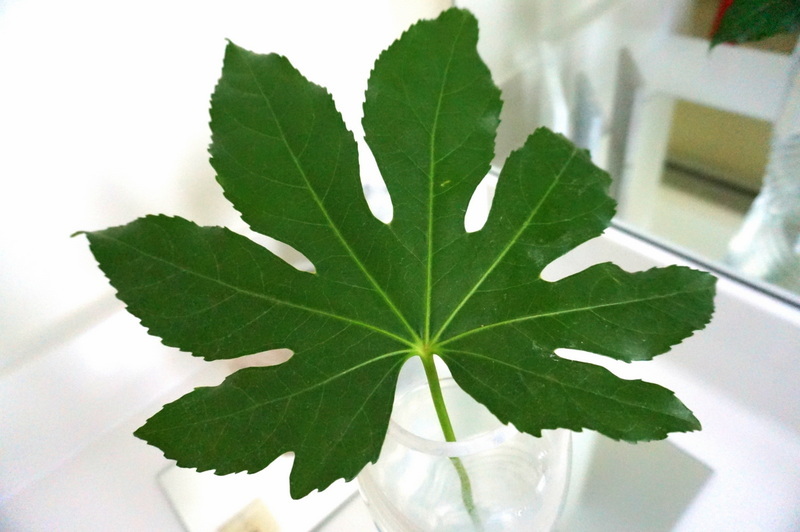 Above and below we see the allure of a single aralia leaf in a modern vase. 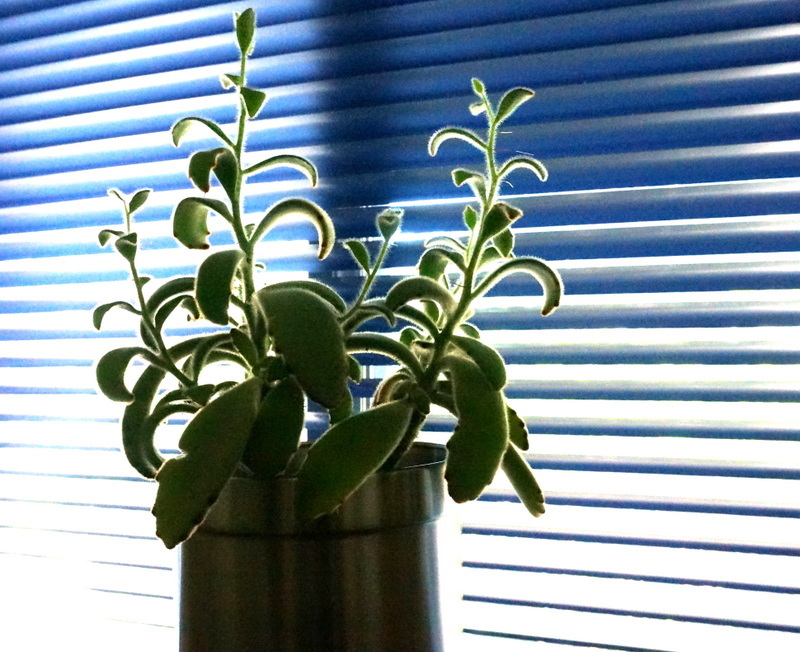 To help my tropical greenery thrive, I change the water and snip off the ends of the stems every few days. 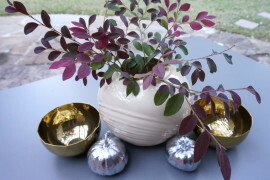 For a symmetrical look, purchase two leaves and display them in matching vases. 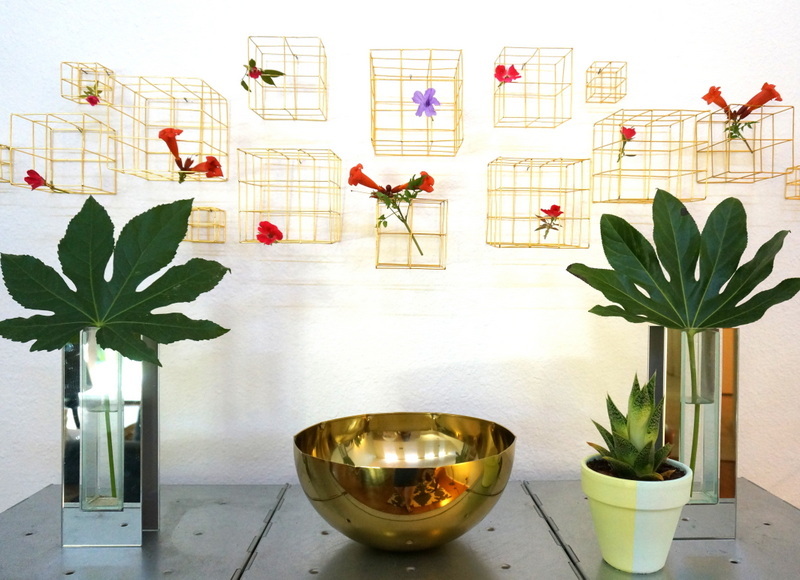 The brass gridded cubes in this vignette are from CB2. 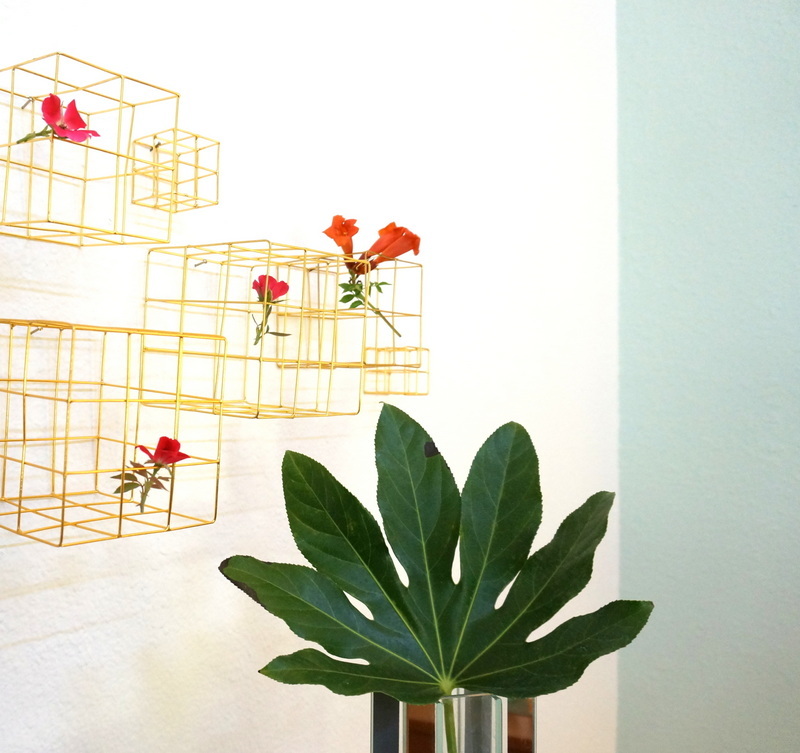 I love collecting blooms from my backyard and placing them in the cubes for a living wall sculpture effect. This spread would make fun decor for a tropical party. 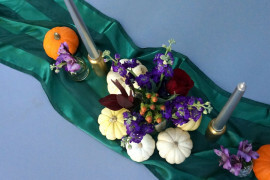 Speaking of affordable statements, sometimes you want a whole bouquet to set a stylish tone, rather than one single leaf. If you’re on a budget, don’t sweat it! 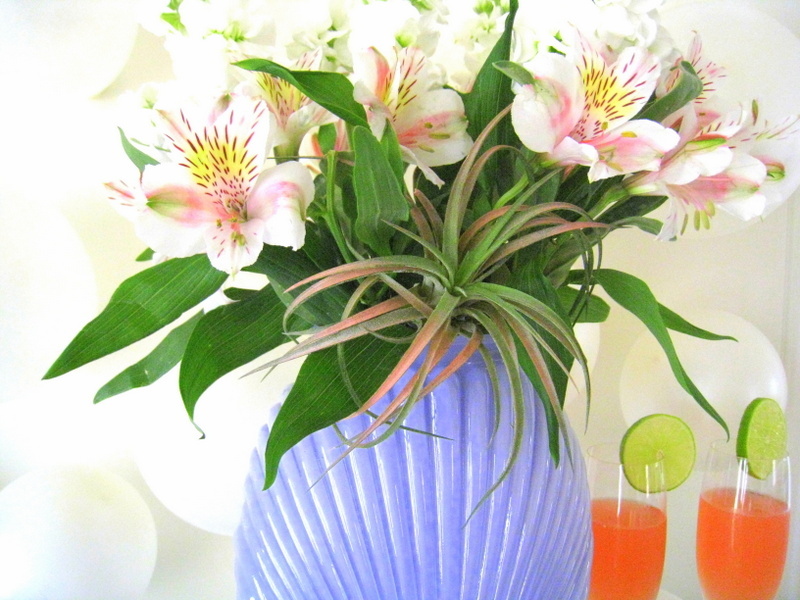 There are plenty of beautiful options, including long-lasting alstroemeria, shown below. 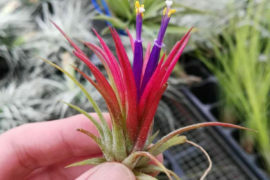 I even added an air plant to the base of this bouquet to make it a bit more dramatic! 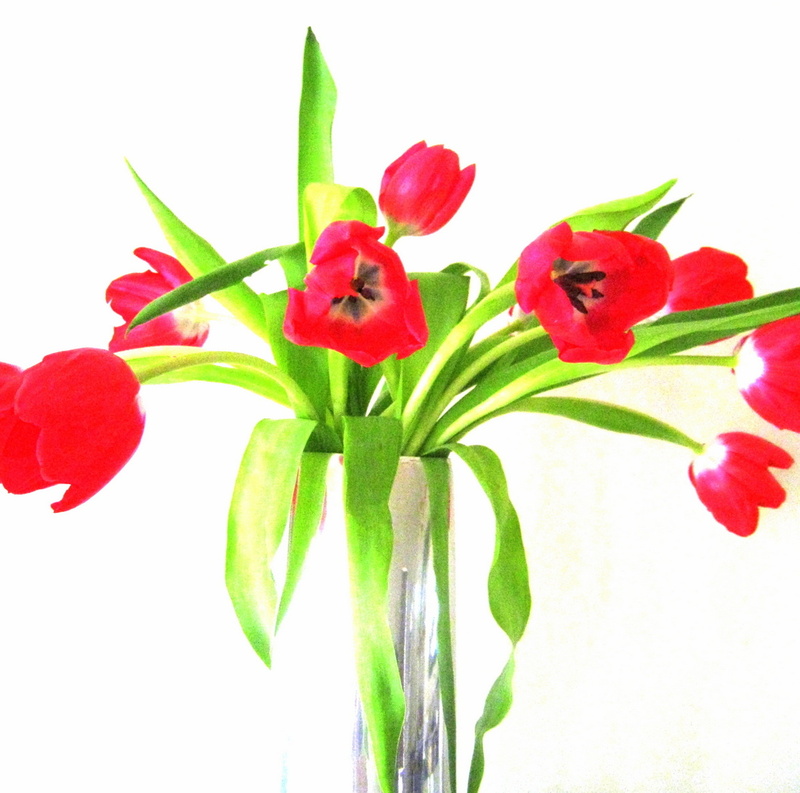 Then again, sometimes it’s nice for the vase to truly stand out! I hunt for retro vases at thrift stores on a regular basis. 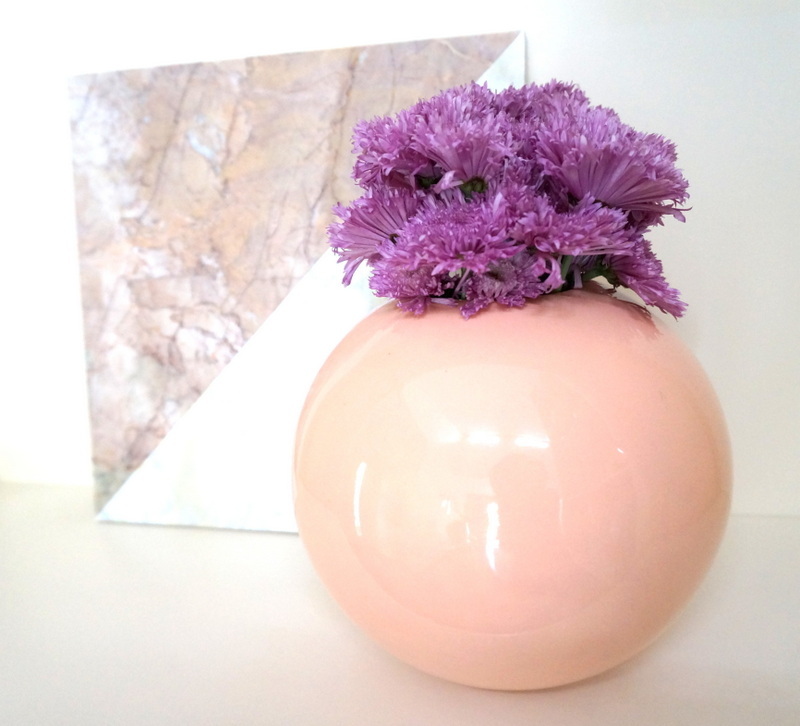 The peach Royal Haeger vase below can sell for as much as $60 on sites such as eBay, but I found this one for around $7. 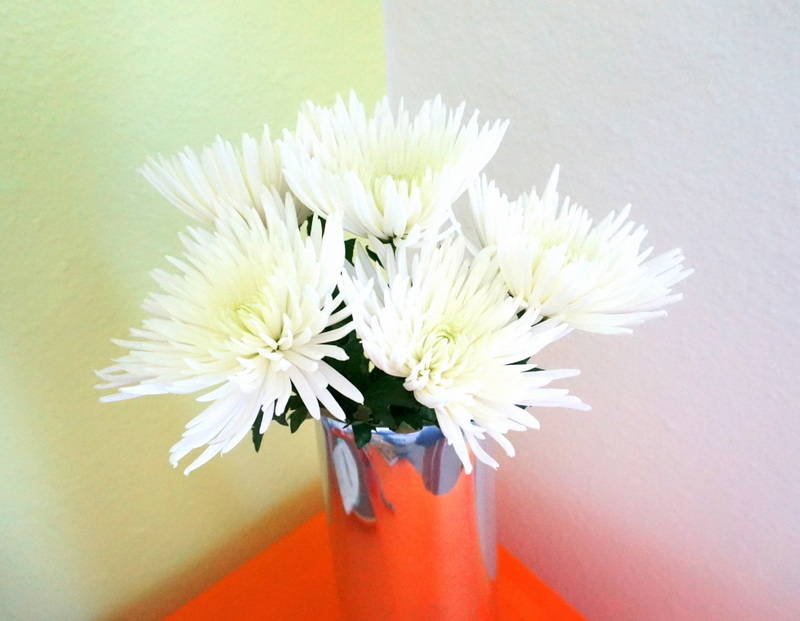 It has such a Deco look, and it’s fun to juxtapose the round shape with textured blooms in a contrasting color. The Blomus planter below is one of my all-time favorite pieces. 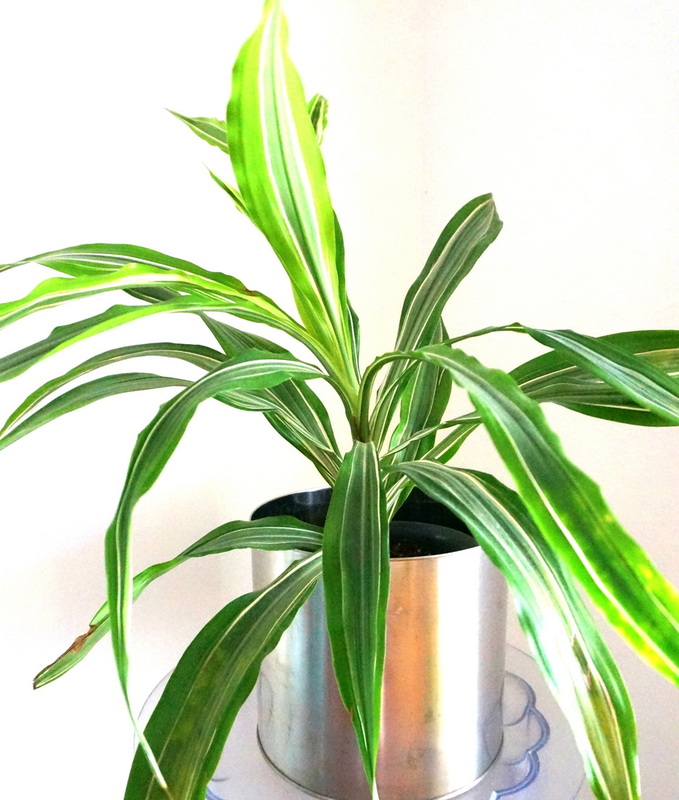 It has such a retro look, and it makes any plant it holds look classy! 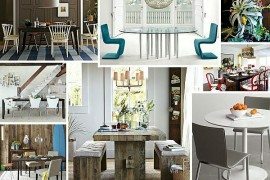 If you’re on a budget, this alternative is both affordable and stylish. 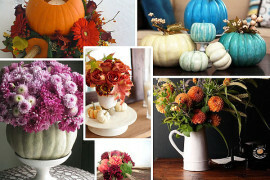 We now feature the most affordable option of all: flowers from the backyard! 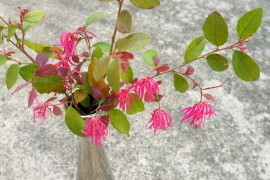 I must admit that when my hubby and I moved to our new place, there were already many beautiful plants in the yard. But regardless of your outdoor space, you’d be surprised at how a tiny rose, a wildflower or blossoms from the vine (shown below) can make a powerful statement. 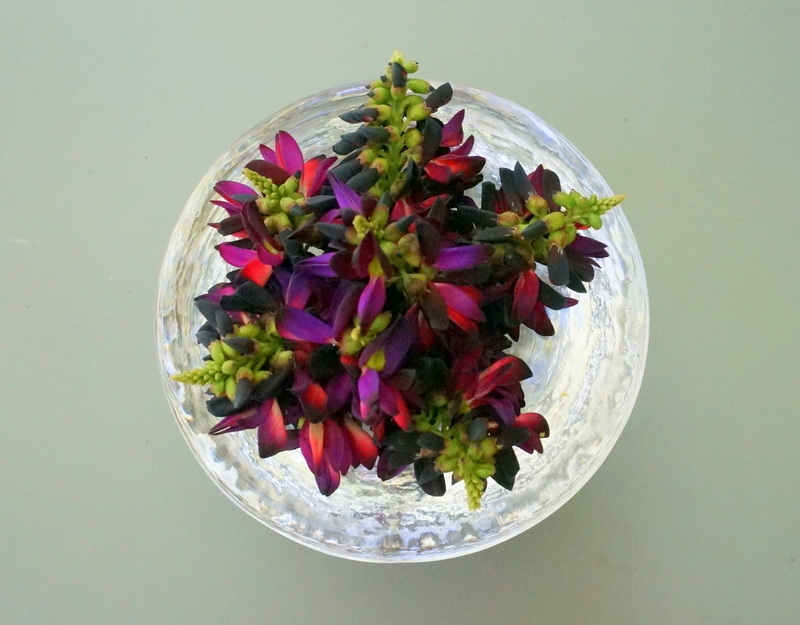 I enjoy displaying small flowers in a grouping, and a little bowl makes the perfect receptacle if stems are short. Don’t have a backyard full of blossoms? 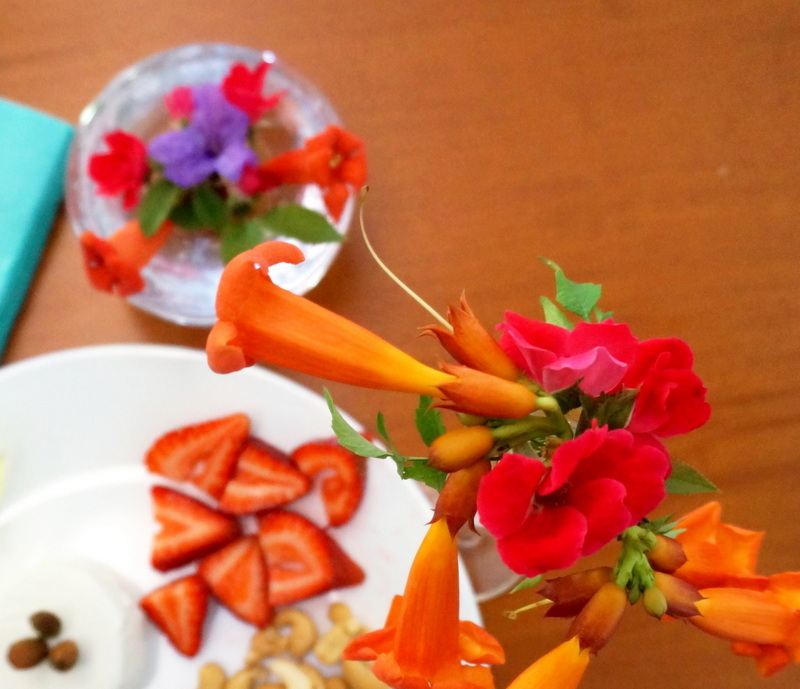 Ask a friend to snip a few extra flowers from her yard. Selections such as trumpet vine blooms (shown below) are often abundant, making them easy to share! 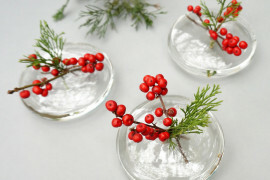 If you’re looking for a small centerpiece, nothing beats a glass terrarium. The glass orb below was a Christmas gift from a dear friend. 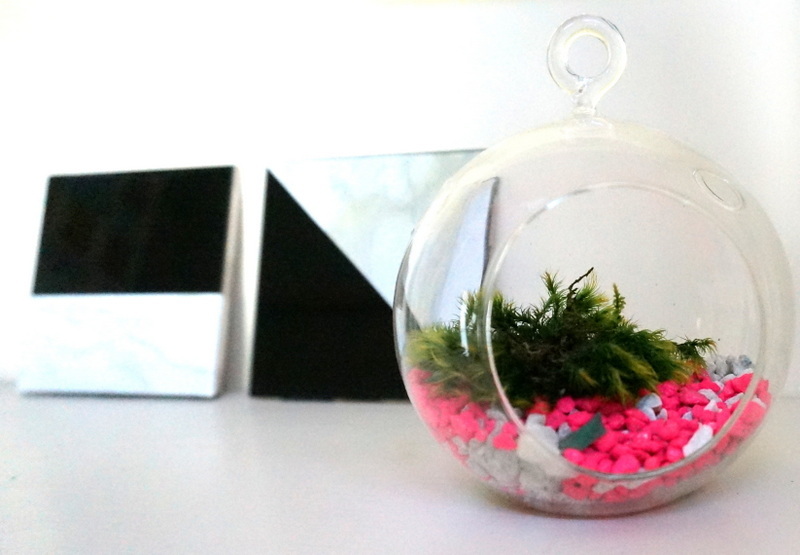 She filled it with moss, as well as colorful pebbles. That’s the beauty of clear containers–you can personalize them with unexpected touches! Speaking of gifts, the air plant and glass terrarium below were a birthday gift from a certain Decoist Editor-In-Chief. It makes the perfect centerpiece for my garden window. 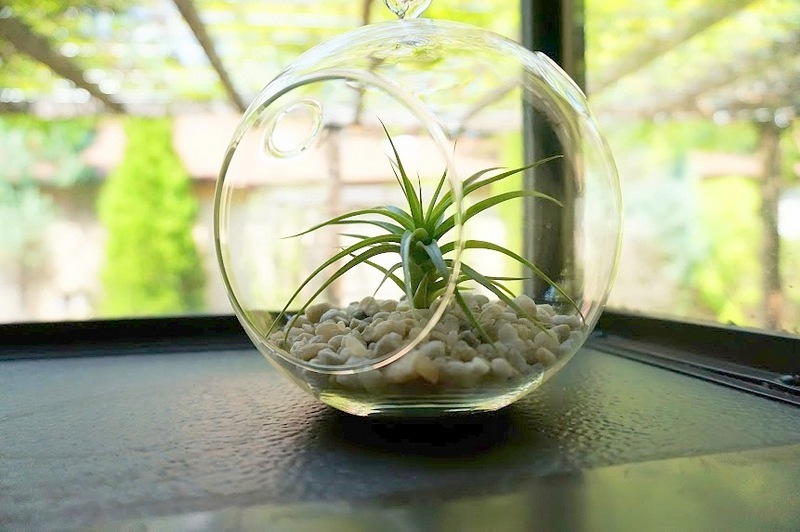 In fact, air plant globes are ideal centerpieces for smaller spaces, as they command attention without overpowering them.